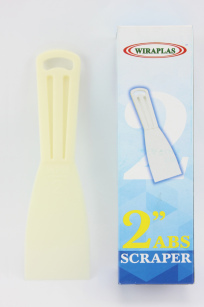 ABS PLASTIC SCRAPER – (2 inch) is also known as putty knife. 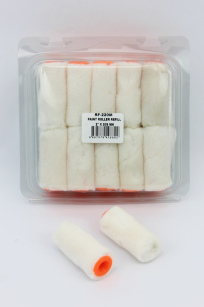 The product is made of high quality ABS Plastic Material from malaysia. 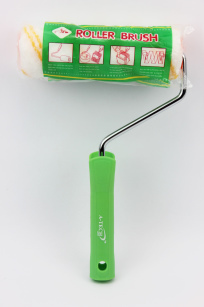 It is easy to use and comfortable to grip when using the tool. Suitable for household or industrial usage. Comes in Two size variants to suit consumer`s requirement. 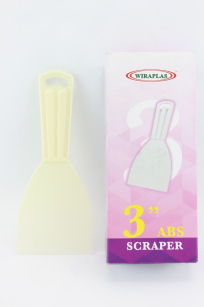 ABS PLASTIC SCRAPER – (3 inch) is also known as putty knife. 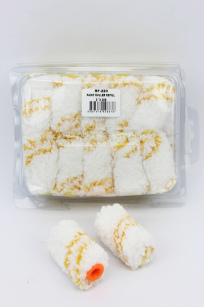 The product is made of high quality ABS Plastic Material from malaysia. 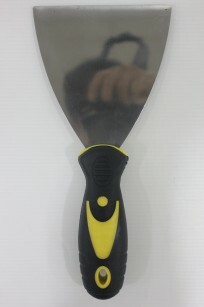 It is easy to use and comfortable to grip when using the tool. 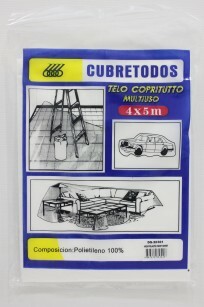 Suitable for household or industrial usage. 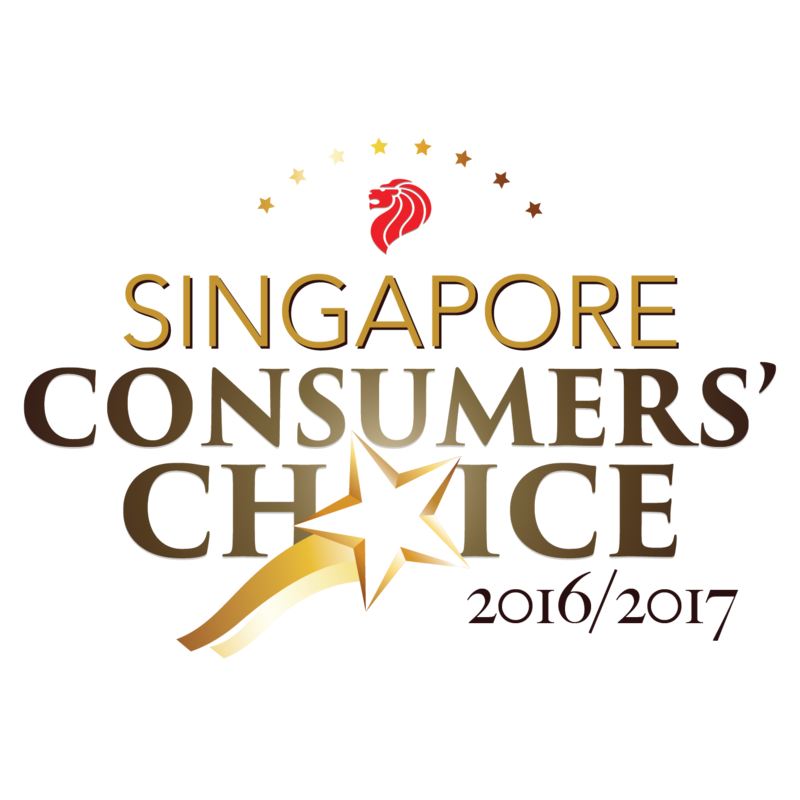 Comes in Two size variants to suit consumer`s requirement. 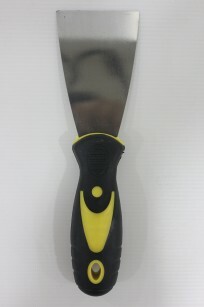 STEEL BRUSH – 27CM is specially designed for rugged cleaning on bricks, stone and similar large flat areas, it is also often use for cleaning or polishing metal surfaces particularly stainless steel. 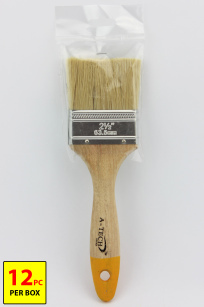 BRASS BRUSH – 27CM is specially designed for removal of rust and scale, paint, burrs and welds from surfaces. 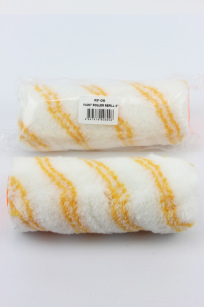 It is also great for removal of dirt and general surface cleaning. 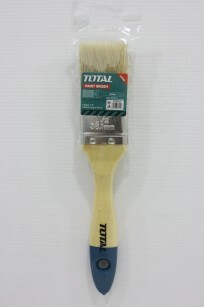 PAINT BRUSH – 1 inch (12PC/BOX) is a high quality flat head paintbrush made with quality materials. Best suited for household diy painting applications. Available in various sizes to suit consumer`s needs. 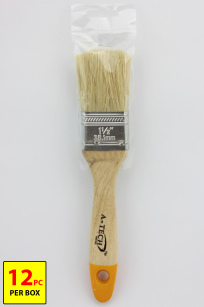 PAINT BRUSH – 1.5 inch (12PC/BOX) is a high quality flat head paintbrush made with quality materials. Best suited for household diy painting applications. Available in various sizes to suit consumer`s needs. 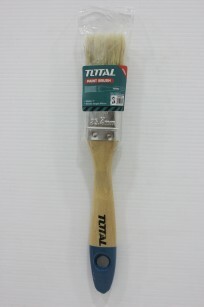 PAINT BRUSH – 2 inch (12PC/BOX) is a high quality flat head paintbrush made with quality materials. 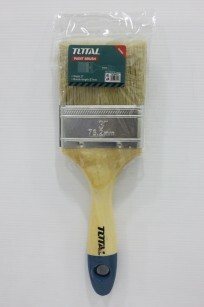 Best suited for household diy painting applications. Available in various sizes to suit consumer`s needs. 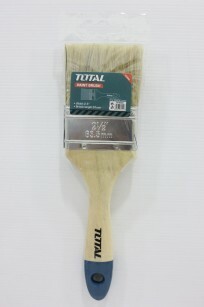 PAINT BRUSH – 2.5 inch (12PC/BOX) is a high quality flat head paintbrush made with quality materials. Best suited for household diy painting applications. Available in various sizes to suit consumer`s needs. Other Size Available: 4″ x 18″ / 4″ x 24″ / 6″ x 11″ / 7″ x 11″. 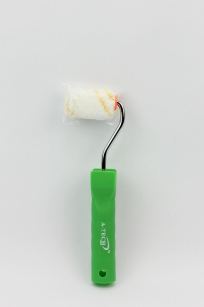 PAINT ROLLER – 2″ x 9″ is made of quality materials with superior chrome steel frame and tough PVC Handle for maximum comfort and grip when using the tool, it comes with a shed resistant and lint-free synthetic roller that effectively absorbs paint & prevents dripping of paint. Perfect for painting on smooth and semi-smooth surfaces and is available in various sizes to suit consumer`s requirement. 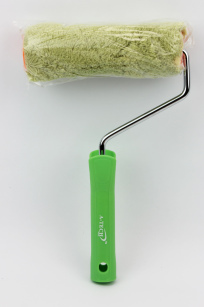 PAINT ROLLER – 6″ x 11″ is made of quality materials with superior chrome steel frame and tough PVC Handle for maximum comfort and grip when using the tool, it comes with a shed resistant and lint-free synthetic roller that effectively absorbs paint & prevents dripping of paint. Perfect for painting on smooth and semi-smooth surfaces and is available in various sizes to suit consumer`s requirement. 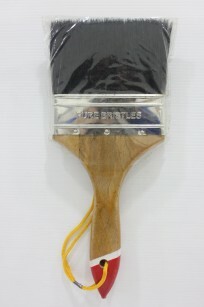 PAINT ROLLER – 7″ x 11″ is made of quality materials with superior chrome steel frame and tough PVC Handle for maximum comfort and grip when using the tool, it comes with a shed resistant and lint-free synthetic roller that effectively absorbs paint & prevents dripping of paint. Perfect for painting on smooth and semi-smooth surfaces and is available in various sizes to suit consumer`s requirement. 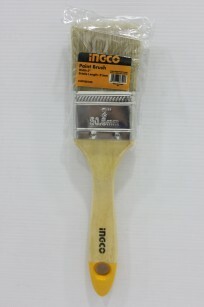 PAINT ROLLER (MICROFIBRE) – 7″ x 11″ is made of quality materials with superior chrome steel frame and tough PVC Handle for maximum comfort and grip when using the tool, it comes with a shed resistant and lint-free microfibre roller that effectively absorbs paint & prevents dripping of paint, its able to absorb 3x more paint than standard rollers allow user to paint with better work efficiency. Perfect for painting on smooth and semi-smooth surfaces. 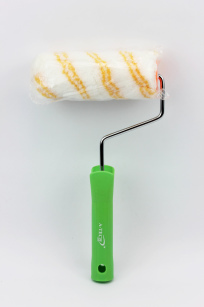 PAINT ROLLER (POLYWOOL) – 7″ x 11″ is made of quality materials with superior chrome steel frame and tough PVC Handle for maximum comfort and grip when using the tool, it comes with a shed resistant and lint-free polywool roller that effectively absorbs paint & prevents dripping of paint. 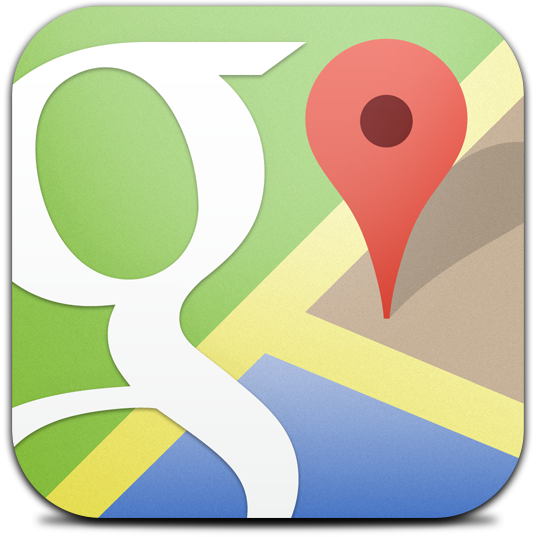 It has a sponge like feel when touching the material. Perfect for painting on smooth and semi-smooth surfaces and is available in various sizes to suit consumer`s requirement. 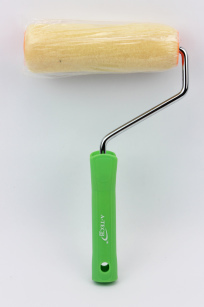 PAINT ROLLER – 4″ x 18″ is made of quality materials with superior chrome steel frame and tough PVC Handle for maximum comfort and grip when using the tool, it comes with a shed resistant and lint-free synthetic roller that effectively absorbs paint & prevents dripping of paint. Perfect for painting on smooth and semi-smooth surfaces and is available in various sizes to suit consumer`s requirement. 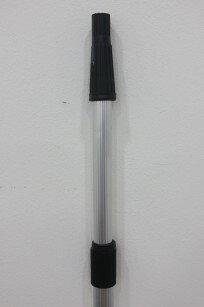 PAINT ROLLER – 4″ x 24″ is made of quality materials with superior chrome steel frame and tough PVC Handle for maximum comfort and grip when using the tool, it comes with a shed resistant and lint-free synthetic roller that effectively absorbs paint & prevents dripping of paint. Perfect for painting on smooth and semi-smooth surfaces and is available in various sizes to suit consumer`s requirement. PAINT ROLLER REFILL – 2″ is a shed resistant and lint-free synthetic roller that effectively absorbs paint & prevents dripping of paint. Perfect for painting on smooth and semi-smooth surfaces and is available in various sizes to suit consumer`s requirement. PAINT ROLLER REFILL – 4″ is a shed resistant and lint-free synthetic roller that effectively absorbs paint & prevents dripping of paint. Perfect for painting on smooth and semi-smooth surfaces and is available in various sizes to suit consumer`s requirement. PAINT ROLLER REFILL – 6″ is a shed resistant and lint-free synthetic roller that effectively absorbs paint & prevents dripping of paint. Perfect for painting on smooth and semi-smooth surfaces and is available in various sizes to suit consumer`s requirement. PAINT ROLLER REFILL – 7″ is a shed resistant and lint-free synthetic roller that effectively absorbs paint & prevents dripping of paint. Perfect for painting on smooth and semi-smooth surfaces and is available in various sizes to suit consumer`s requirement. 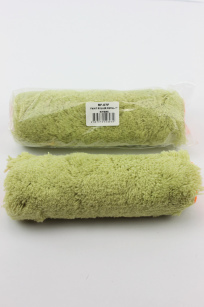 PAINT ROLLER REFILL (MICROFIBRE) – 7″ is a shed resistant and lint-free microfibre roller that effectively absorbs paint & prevents dripping of paint, its able to absorb 3x more paint than standard rollers allowing user to paint with better work efficiency. 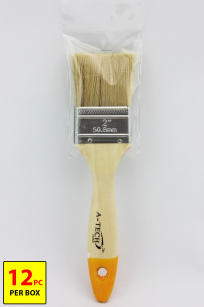 Perfect for painting on smooth and semi-smooth surfaces. 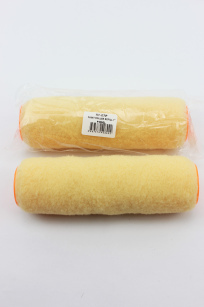 PAINT ROLLER REFILL (POLYWOOL) – 7″ is a shed resistant and lint-free polywool roller that effectively absorbs paint & prevents dripping of paint. It has a sponge like feel when touching the material. Perfect for painting on smooth and semi-smooth surfaces. 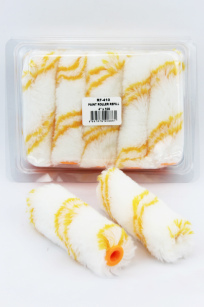 PAINT ROLLER REFILL (MOHAIR) – 2″ is a shed resistant and lint-free synthetic roller made of Mohair fibres effectively absorbs paint & prevents dripping of paint, its unique feature is making the paint smooth and ultra fine when painted onto the application surface. Perfect for painting on smooth and semi-smooth surfaces and is available in various sizes to suit consumer`s requirement. 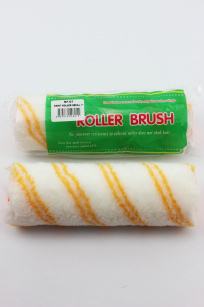 PAINT ROLLER REFILL (MOHAIR) – 4″ is a shed resistant and lint-free synthetic roller made of Mohair fibres effectively absorbs paint & prevents dripping of paint, its unique feature is making the paint smooth and ultra fine when painted onto the application surface. Perfect for painting on smooth and semi-smooth surfaces and is available in various sizes to suit consumer`s requirement. PLASTIC DUST SHEET – 4 X 5M (12PKT/PACK) is commonly used when your home is undergoing minor renovation works where all the dust and nasty paint stains can be quite of a cleaning hassle! The Plastic Dust Sheet protects your flooring from paint stains & it protects your furniture from dusts. 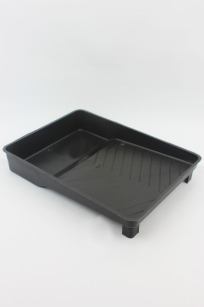 PAINT TRAY – 9″ is made of quality PVC material, it is able to hold up to a litre of paint and the moulded interior allows for easy paint loading and cleaning. 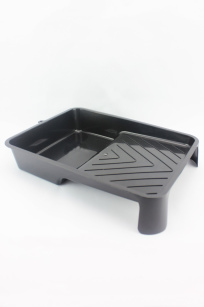 PAINT TRAY is made of quality PVC material, it has modern design and its moulded interior allows for easy paint loading and cleaning. 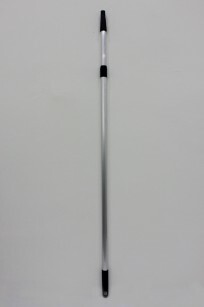 Able to extend up to 2 metre in length, firm and rigid yet light weight. 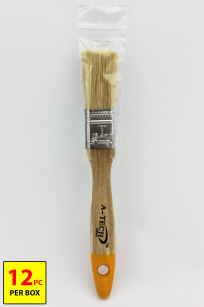 Able to fit various types of paint brushes and roller. 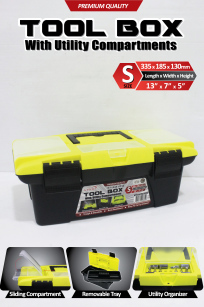 HANDY TOOL BOX (SMALL) – 335 x 185 x 130mm is made of top grade PP Material that is specifically designed for toughness and durability. It has a Removable Tray that enhances storage solutions and also sliding compartments to easily access and carry small tools around while at work. It also has a utility organizer that neatly arranges drill bits / screw bits. Comes in 3 different sizes Small / Medium / Large size. 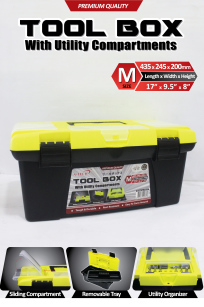 HANDY TOOL BOX (MEDIUM) – 435 x 245 x 200mm is made of top grade PP Material that is specifically designed for toughness and durability. It has a Removable Tray that enhances storage solutions and also sliding compartments to easily access and carry small tools around while at work. It also has a utility organizer that neatly arranges drill bits / screw bits. Comes in 3 different sizes Small / Medium / Large size. 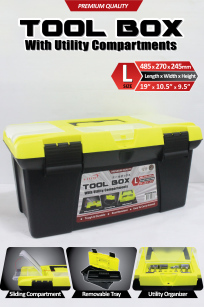 HANDY TOOL BOX (LARGE) – 485 x 270 x 245mm is made of top grade PP Material that is specifically designed for toughness and durability. It has a Removable Tray that enhances storage solutions and also sliding compartments to easily access and carry small tools around while at work. It also has a utility organizer that neatly arranges drill bits / screw bits. Comes in 3 different sizes Small / Medium / Large size. 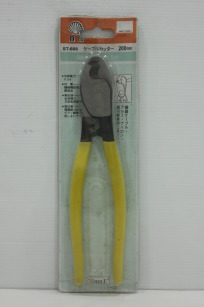 COMBINATION PLIER (6 inch) is made from high quality metal, the handle of the plier is covered with tough & comfortable rubber plastic composite handle. 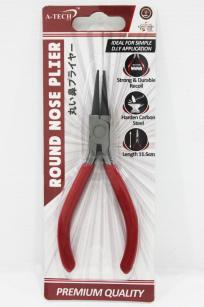 LONG NOSE PLIER (6 inch) is made from high quality metal, the handle of the plier is covered with tough & comfortable rubber plastic composite handle. 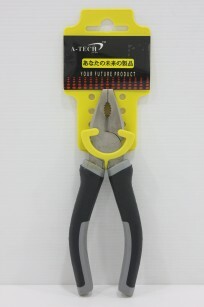 CUTTER PLIER (6 inch) is made from high quality metal, the handle of the plier is covered with tough & comfortable rubber plastic composite handle. 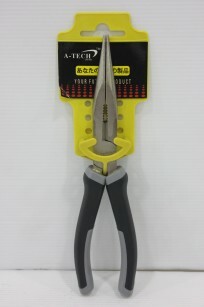 COMBINATION PLIER (8 inch) is made from high quality metal, the handle of the plier is covered with tough & comfortable rubber plastic composite handle. 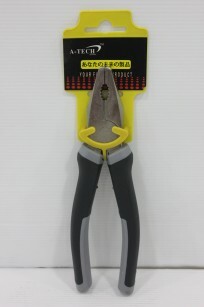 CUTTER PLIER (8 inch) is made from high quality metal, the handle of the plier is covered with tough & comfortable rubber plastic composite handle. 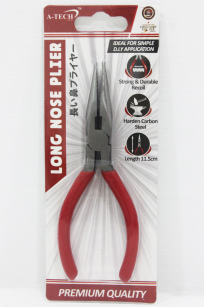 LONG NOSE PLIER (8 inch) is made from high quality metal, the handle of the plier is covered with tough & comfortable rubber plastic composite handle. 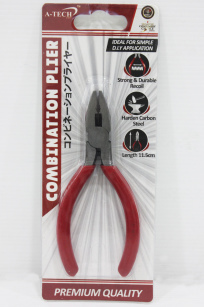 MINI COMBINATION PLIER is made of high quality Harden Carbon steel material as its base, the product is insulated with PVC wrapping to give it protection against wear and tear and provide comfortable grip for user. 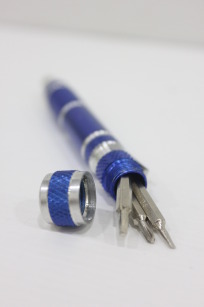 It also has strong and durable recoils allowing easy usage of the tool. 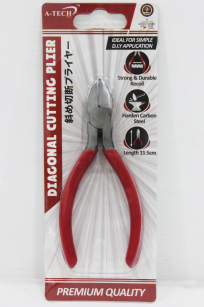 MINI DIAGONAL CUTTER is made of high quality Harden Carbon steel material as its base, the product is insulated with PVC wrapping to give it protection against wear and tear and provide comfortable grip for user. 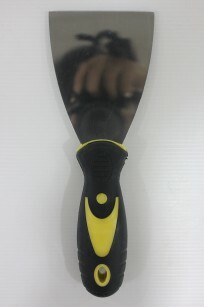 It also has strong and durable recoils allowing easy usage of the tool. 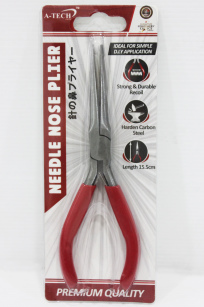 MINI NEEDLE NOSE PLIER is made of high quality Harden Carbon steel material as its base, the product is insulated with PVC wrapping to give it protection against wear and tear and provide comfortable grip for user. 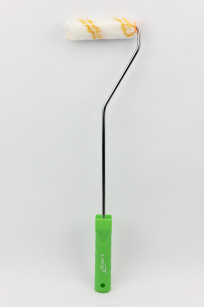 It also has strong and durable recoils allowing easy usage of the tool. 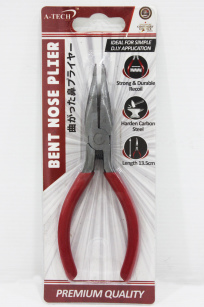 MINI BENT NOSE PLIER is made of high quality Harden Carbon steel material as its base, the product is insulated with PVC wrapping to give it protection against wear and tear and provide comfortable grip for user. 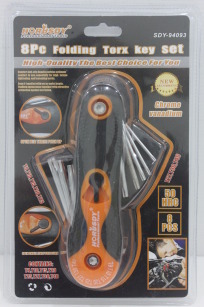 It also has strong and durable recoils allowing easy usage of the tool. 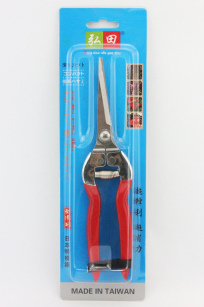 MINI ROUND NOSE PLIER is made of high quality Harden Carbon steel material as its base, the product is insulated with PVC wrapping to give it protection against wear and tear and provide comfortable grip for user. 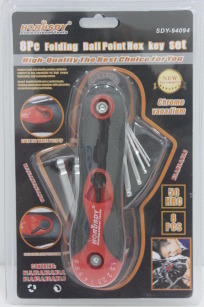 It also has strong and durable recoils allowing easy usage of the tool. 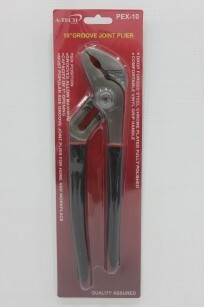 MINI LONG NOSE PLIER is made of high quality Harden Carbon steel material as its base, the product is insulated with PVC wrapping to give it protection against wear and tear and provide comfortable grip for user. 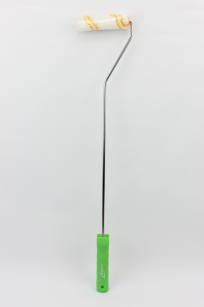 It also has strong and durable recoils allowing easy usage of the tool. 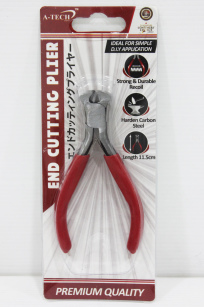 MINI END CUTTING PLIER is made of high quality Harden Carbon steel material as its base, the product is insulated with PVC wrapping to give it protection against wear and tear and provide comfortable grip for user. 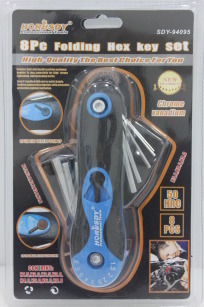 It also has strong and durable recoils allowing easy usage of the tool. 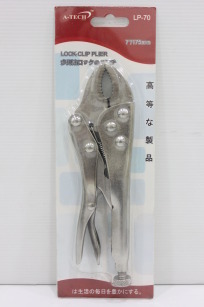 5″ LOCKING CLIP PLIER is able to provides more gripping power than traditional pliers, with no slipping or stripping. 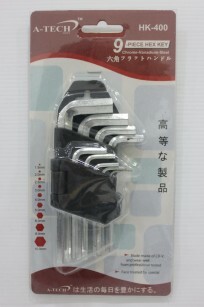 It has powerful jaws that allows good grip onto the object making it suitable for us as a clamp. 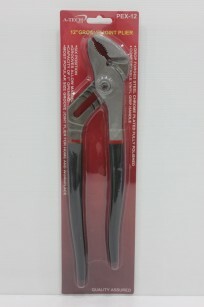 7″ LOCKING CLIP PLIER is able to provides more gripping power than traditional pliers, with no slipping or stripping. It has powerful jaws that allows good grip onto the object making it suitable for us as a clamp. 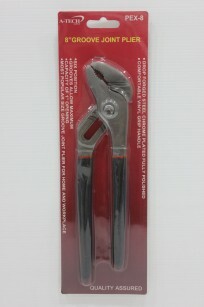 10″ LOCKING CLIP PLIER is able to provides more gripping power than traditional pliers, with no slipping or stripping. 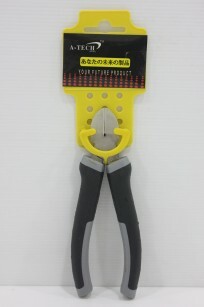 It has powerful jaws that allows good grip onto the object making it suitable for us as a clamp. 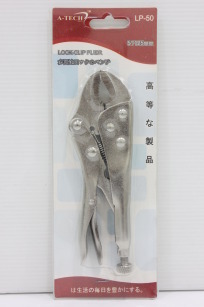 GROOVE JOINT PLIER (8 inch) is made from high quality drop forged steel, the handle of the plier is covered with comfortable vinyl grip handle. It is able to be fixed in 6 positions and the grooves opens up to 1 inches wide. 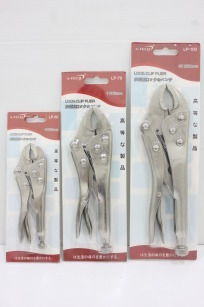 GROOVE JOINT PLIER (10 inch) is made from high quality drop forged steel, the handle of the plier is covered with comfortable vinyl grip handle. 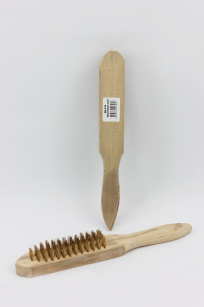 It is able to be fixed in 6 positions and the grooves opens up to 1 inches wide. 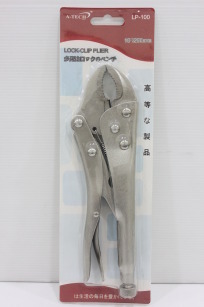 GROOVE JOINT PLIER (12 inch) is made from high quality drop forged steel, the handle of the plier is covered with comfortable vinyl grip handle. 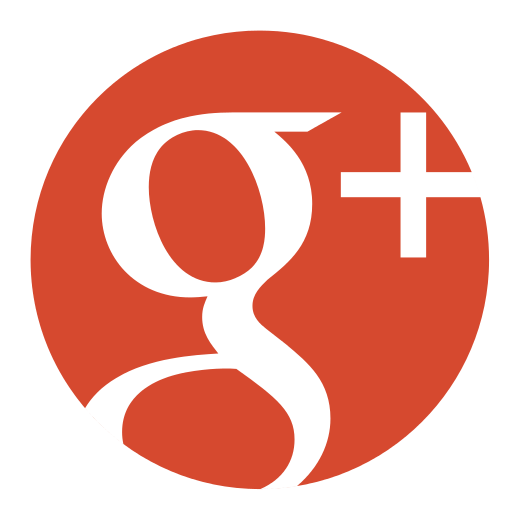 It is able to be fixed in 6 positions and the grooves opens up to 1 inches wide. 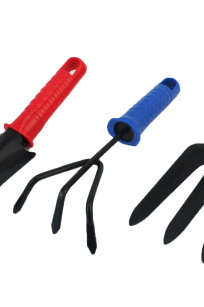 GARDEN TOOL SET – 3PCS is a package toolset that contains a Trowel, Rake & Gardening Fork. 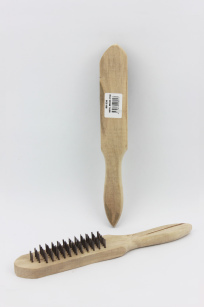 It is perfect for common household gardening applications and is made with carbonized steel and PP handles making it tough yet comfortable to grip when using the tools. 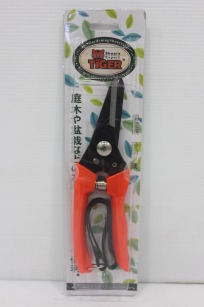 SHEARING SCISSORS has high quality tough plastic as its handle that gives comfortable grip. 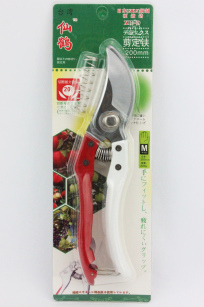 The shears comes with sharp blades for smooth cutting. 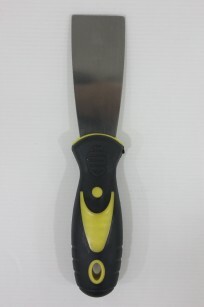 The product comes with a lock mechanism to hold the cutting blades in place when the product is not in use. 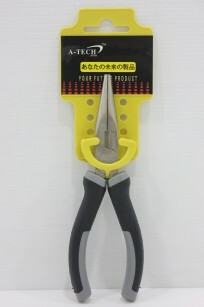 SHEARING SCISSORS is perfect for trimming plants with its long blades, it is sharp and allows users to cut with minimal effort. 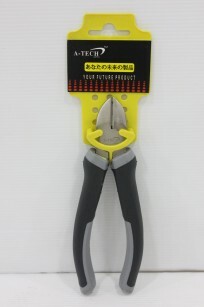 8″ CABLE CUTTER (200mm) uses high quality steel as it material, it is tough and the blade of the cutter is sharp and strong. 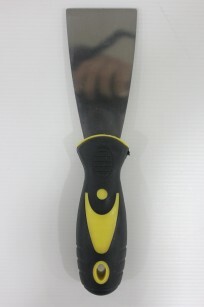 The product is often used to cut electrical wires. 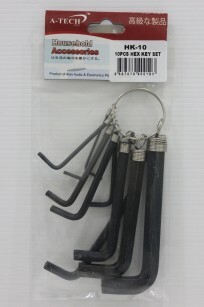 8PCS HEX KEY SET comes with 8 pcs of Hex keys of different sizes, it is easy to carry around and can be easily found in your tool box without having the hassle to search as all 8 pcs of the set are bundled together , it is made of tough iron capable of withstanding high amount of turning force when in use. 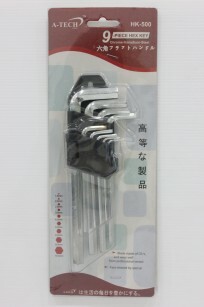 10PCS HEX KEY SET comes with 10 pcs of Hex keys of different sizes, it is easy to carry around and can be easily found in your tool box without having the hassle to search as all 10 pcs of the set are bundled together , it is made of tough iron capable of withstanding high amount of turning force when in use. 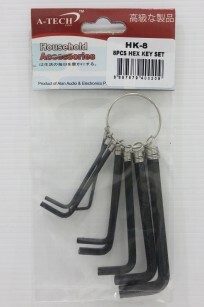 9PC CR-V STEEL HEX KEY comes with 9 pcs of Hex keys of different sizes, it is easy to carry around and can be easily found in your tool box as it comes with a tough plastic holder that holds they hex keys in place, it is made of Chrome-Vanadium Steel that is corrosion resistant & capable of withstanding high amount of turning force when in use. 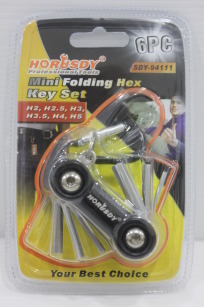 MINI FOLDING HEX KEY SET is portable and convenient to use. 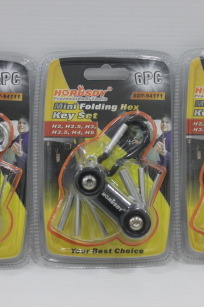 It comes with a small carabiner that allows the product to be used as a keychain or simply attach it to your bags. 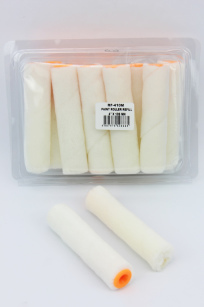 It comes with 6 sizes of Hex Type Heads in sizes of 2 / 2.5 / 3 / 3.5 / 4 / 5. 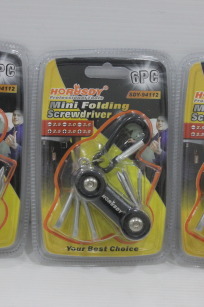 MINI FOLDING SCREWDRIVER SET is portable and convenient to use. 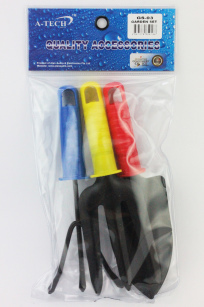 It comes with a small carabiner that allows the product to be used as a keychain or simply attach it to your bags. 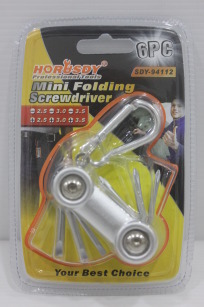 It comes with 3 sizes of (+) & (-) Screw heads (6 screw head in total). 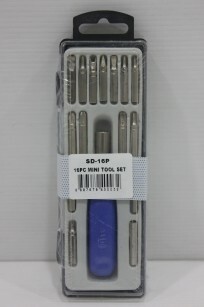 16PC MINI TOOL SET has 16 different screw bits of different sizing, comes with a handle to fit the screw bits in. Suitable for student use. 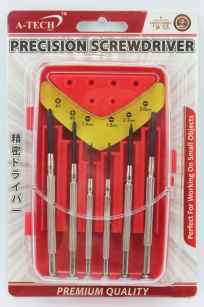 PEN TYPE PRECISION SCREWDRIVER SET has 8 different screw bits of different sizing and screw types such as the plus, minus and square shaped screws. 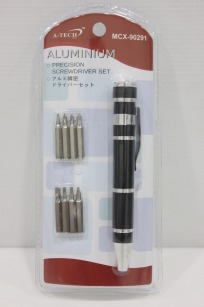 The product has a pen type design to hold the screw bit in place when in use & also has a hollow body to store when screw bits when not in use. Portable Ergonomic and easy to use. 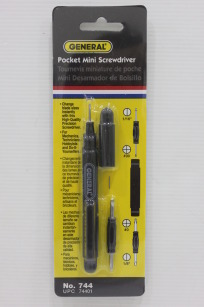 POCKET MINI SCREWDRIVER SET is a extremely affordable and useful tool, being made of PVC plastic, the screwdriver is light weight and easy to carry around in your shirt pockets by simply covering the screwdriver with the caps just like pen. 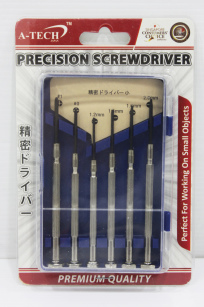 The smallest screw bit is also suitable for use on small screws like screws in reading glasses and watches. 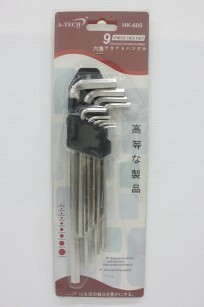 6PC PRECISION SCREW DRIVER SET is made of chromium-vanadium steel. The product comes with a clear plastic box to store the screw sets when not in use. The small screw sizes makes it suitable for screws meant for camera. eye glasses, etc.